I have a total of three Death Jesters; one has been heavily converted to provide some additional variety in the poses. 1. 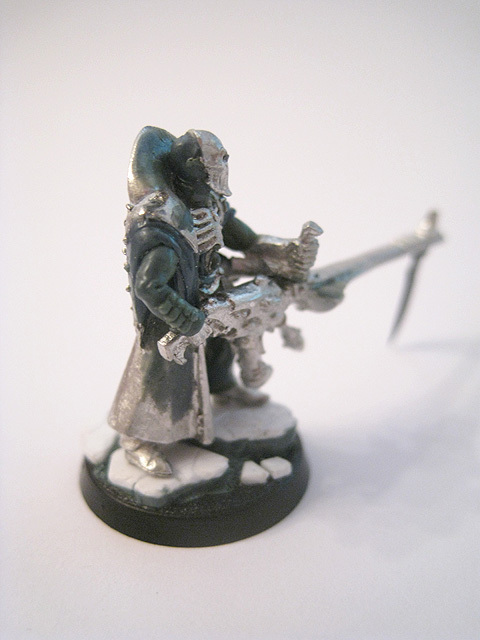 The first Death Jester; this miniature has been assembled unaltered. In cutting away the head, the collar was unavoidably damaged, requiring me to repair it with Green Stuff. 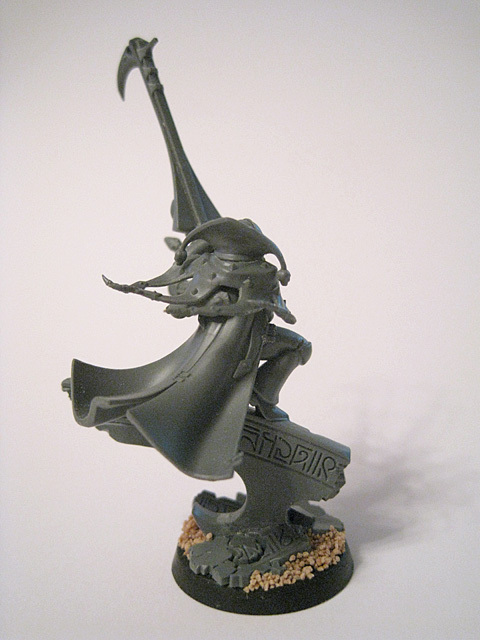 Part of the Death Jester's coat was removed, so that the left leg could be bent backwards towards the right leg. This section of the flip belt had to be recreated in Green Stuff after the right forearm was removed. 2. 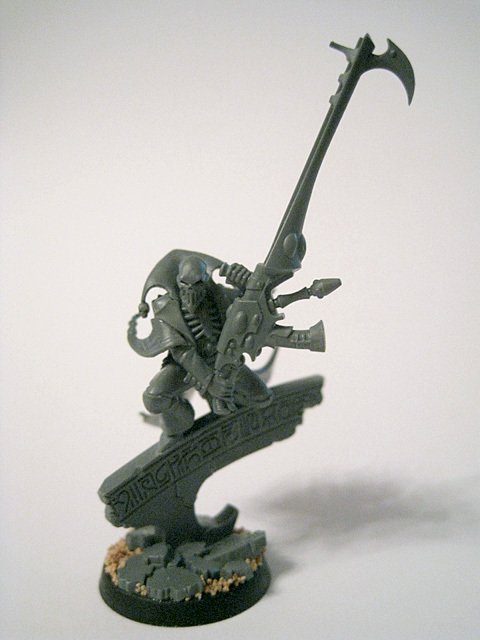 The second Death Jester was heavily converted, requiring me to cut away both arms and the head. 3. 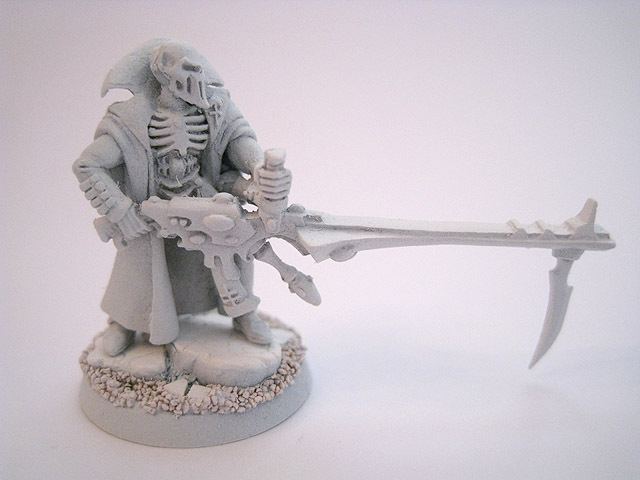 The Shrieker Cannon, viewed from the back. 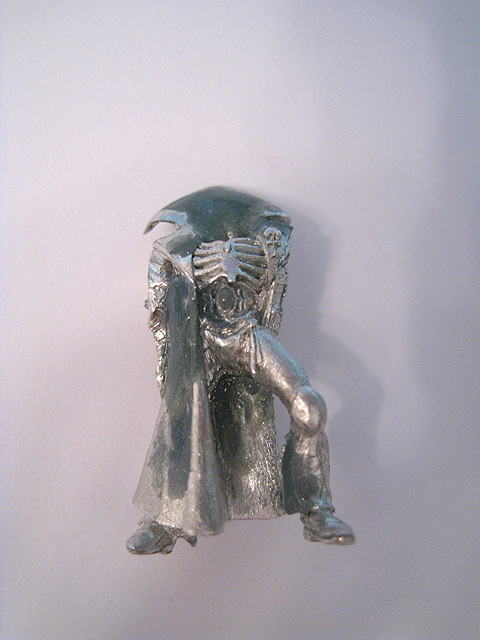 Additional detail was sculpted in Green Stuff and the left forearm of the Death Jester was glued to it. 4. 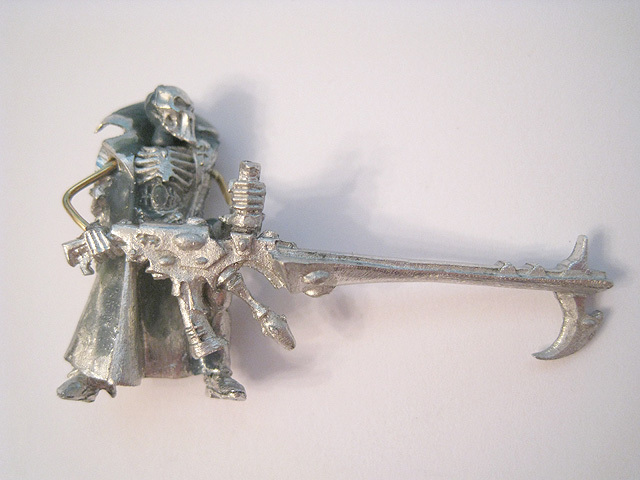 A mock-up of the Death Jester conversion, with the repositioned head and Shrieker Cannon. 5. This scenic base was created using Green Stuff and plasticard. 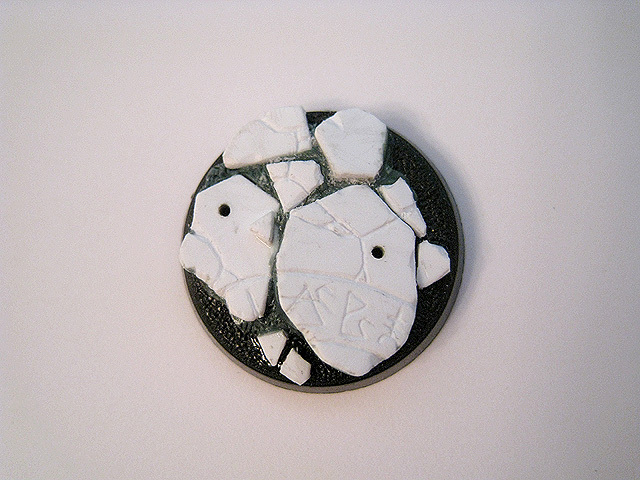 Eldar runes were etched into it to give the impression of ruined Exodite architecture. 6. 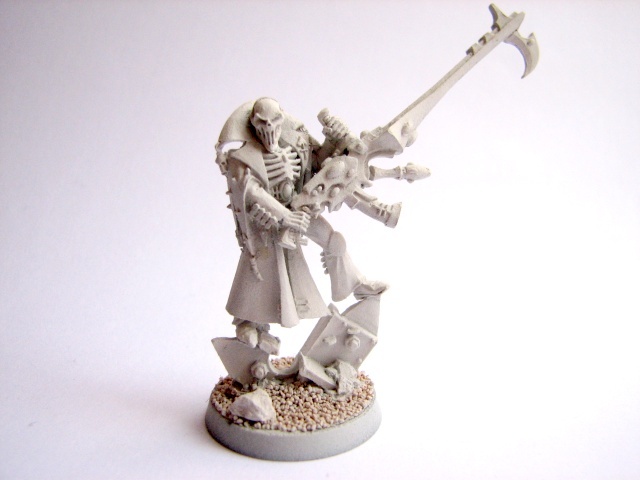 The completed Death Jester conversion. 7. 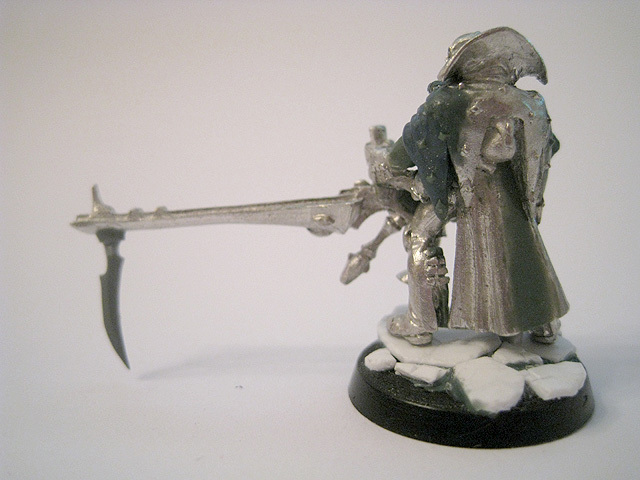 The Death Jester conversion from the rear. 8. A close-up of the sculpting on the body. 9. 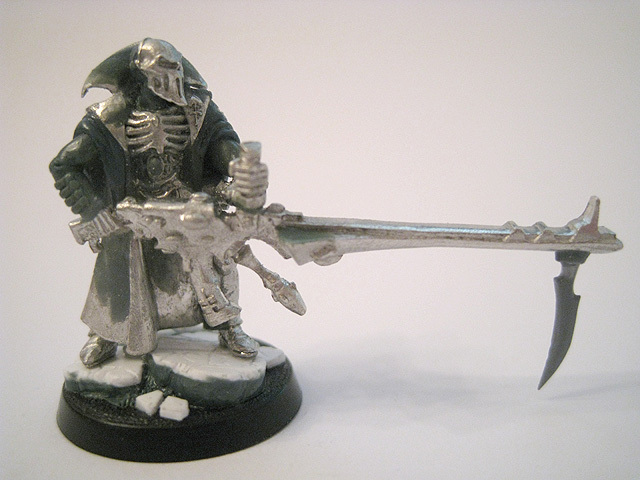 Alternate view of the Death Jester conversion. 10. 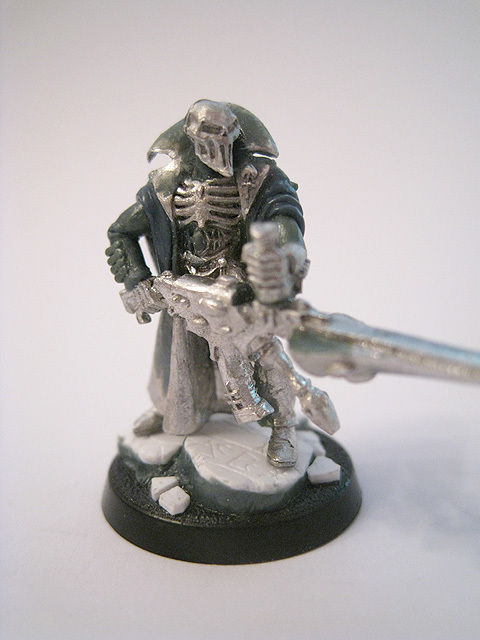 The completed Death Jester conversion, after basing. 11. 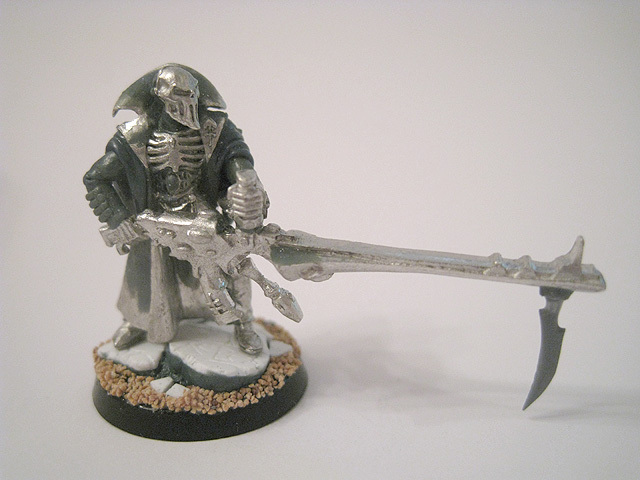 The completed Death Jester conversion, now undercoated. 12. The third Death Jester has been assembled without modification. 13. 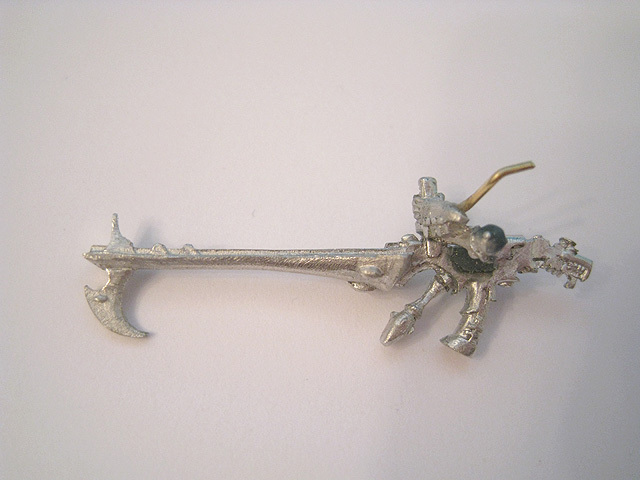 Rear view of the third and final Death Jester. 14. 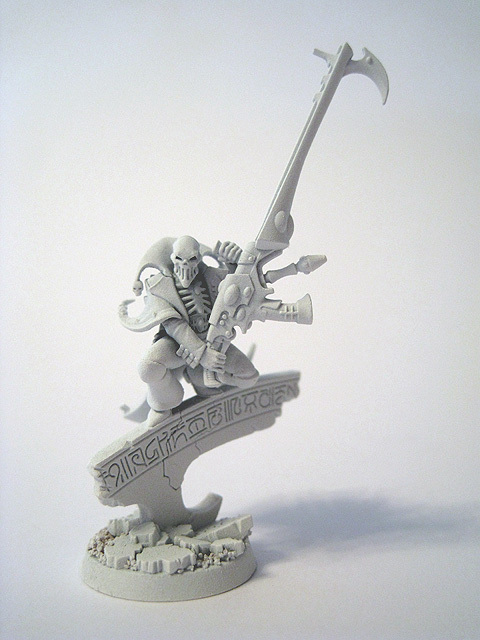 The third Death Jester, now undercoated.